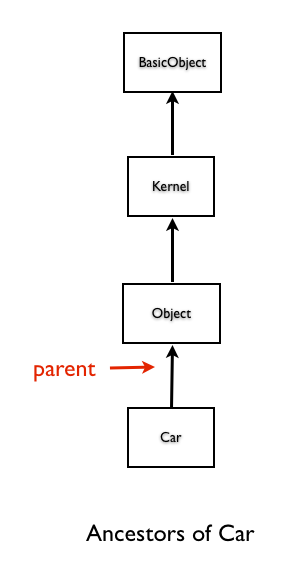 In this chapter, you will learn that class methods have their own inheritance hierarchy. We will also see that the sub classes inherit the class methods from its parent. Let&apos;s consider the example we saw in the previous chapter. Now we don&apos;t see any singleton classes in this case. We can go one level up and do a similar experiment. Let&apos;s go one more level up and repeat a similar experiment. Let&apos;s define a class method in Ruby built-in BasicObject. Now you know how it works. The concept slightly varies because sub classes can call class methods without a receiver. You can say sub class is a super class. This is the reason why you can consider the sender and receiver to be the same. In this chapter, we learned that class methods have their own inheritance hierarchy. We also saw that the sub classes inherit the class methods from its parent.